What's the Average Cost of an All Inclusive Vacation? What’s the Average Cost of an All Inclusive Vacation? An all inclusive vacation is an ideal and cost-effective way to get some you time. One upfront fee covers food, transportation, beverages, and accommodations. Plus, it takes the guesswork out of planning and budgeting for your trip while you’re there. But what exactly is the average cost of an all inclusive vacation? Keep reading to find out! 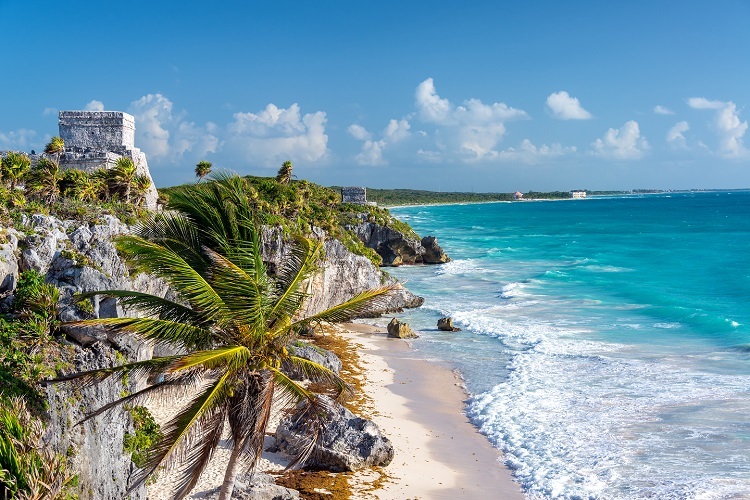 The region of Cancun/Riviera Maya showcases Mexico’s vibrant east coast, beautiful jungles, and Mayan ruins offering insight into ancient history. The best time to visit for better pricing and weather is between December and April. An additional way to save money is to avoid shops and vendors along the beach. Instead, head to the downtown areas where great shops and local flavor offer much more reasonable prices. Better yet, stay on property and get your fix of daily and nightly entertainment for free! 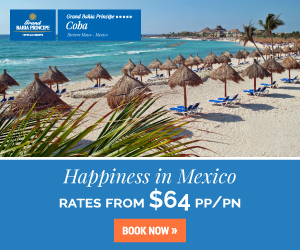 Affordable all inclusive resort packages in Cancun/Riviera Maya include: Azul Beach Resort Riviera Cancun, UNICO 20 87, Moon Palace Cancun, and Zoetry Villa Rolandi Isla Mujeres Cancun. This 20-mile coastline at the edge of Baja California provides plenty of beach-centered attractions to visit. You can kick back and relax under the sun to the soundtrack of the waves crashing in the Cortez Sea. 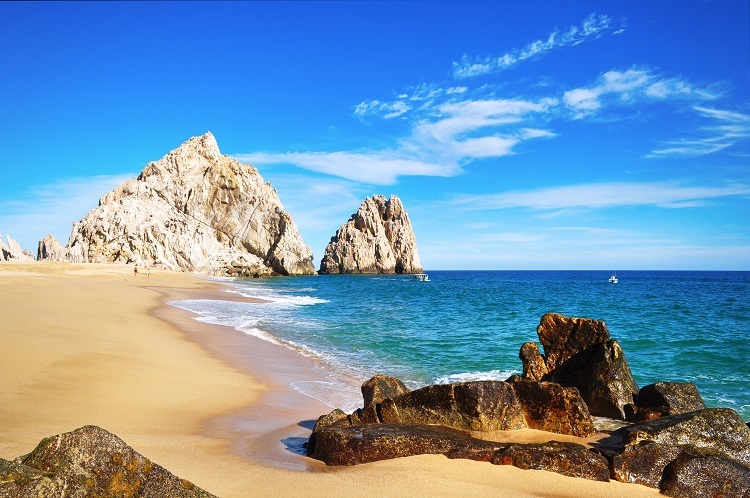 The cheapest time of year to visit Cabo San Lucas is early May. Spring breakers are gone and the summer crowds have yet to arrive. Another good off-season time is July to September, when it’s hot and families are heading back to school. Keep a watchful eye on the weather, as late summer/early fall tend to bring more rain than the rest of the year. Save money by skipping airport exchange kiosks to exchange money so you’re not charged with foreign transaction fees. Instead, draw your money out from an airport ATM which gives you the right amount without these higher fees. Many all inclusive resorts in Cabo accept US dollars, so it may not even be necessary to go through a foreign money exchange. Affordable all inclusive resort packages in Cabo San Lucas include: Breathless Cabo San Lucas Resort & Spa, Riu Palace Cabo San Lucas, Le Blanc Spa Resort Los Cabos, and Paradisus Los Cabos. 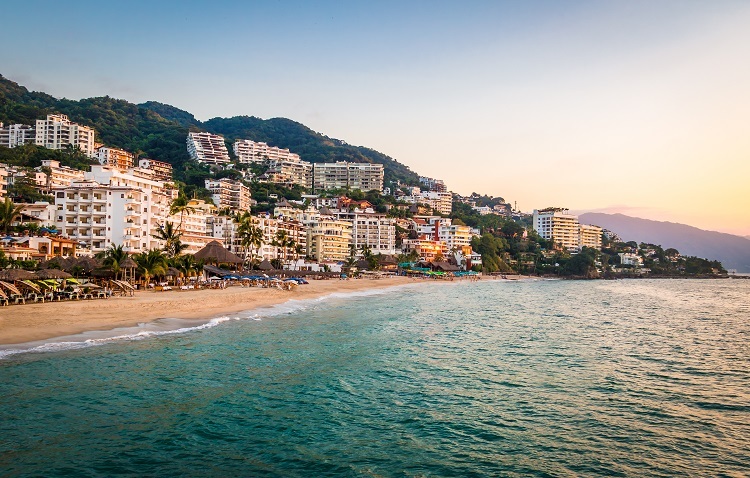 A resort town on Mexico’s Pacific coast, Puerto Vallarta is renowned for its nightlife scene, beaches, water sports, and quaint cobblestone center. Attractions include Nuestra Señora de Guadalupe Church and sculptures showcasing the area’s beauty and history. Save money on souvenirs by shopping at local flea markets. You can also enjoy an authentic experience by looking for free things to do. Chances are your all inclusive resort package includes activities such as snorkeling, Hobie cat rides, beach volleyball, and more. If you’re aching to explore off property, hiking the area’s beautiful jungles costs nothing (besides transportation) and is a wonderful way to take in the local flora and fauna. 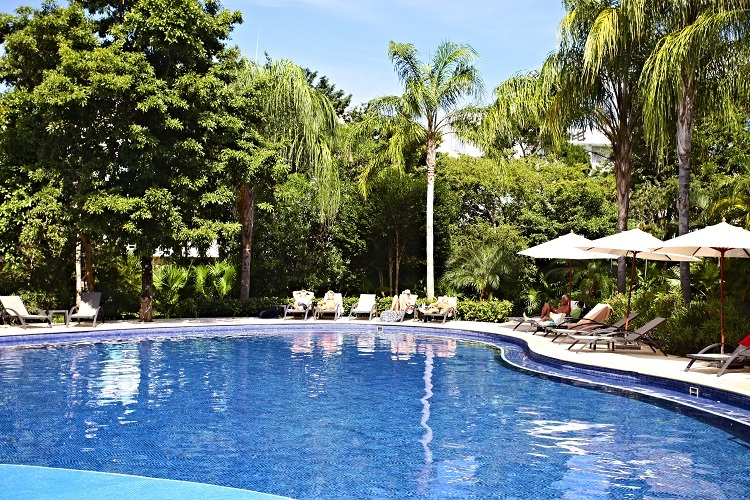 Affordable all inclusive resort packages in Puerto Vallarta include: Secrets Vallarta Bay Puerto Vallarta, Barcelo Puerto Vallarta, Grand Velas Riviera Nayarit, and Hard Rock Hotel Vallarta. A unique Caribbean experience can be found on a vacation to Jamaica. Stunning coastlines, lush rain forests, and a vibrant culture make it an appealing beach destination for all travelers. If you’re looking for the cheapest time to visit Jamaica, you’ll want visit from the months of June to November. Keep in mind that this period typically sees more rainfall than the rest of the year. Most all inclusive resorts tie different water and land activities into their packages. While this is a great way to save money, you might also want to venture out on an excursion that comes at an additional cost. Before your trip, research tour companies to see which one offers the best deals. 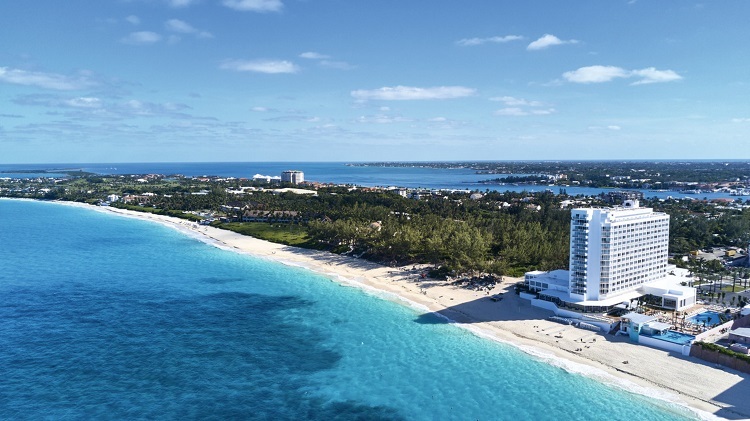 When you don’t want to spend, activities like taking a stroll on Seven Mile Beach or jumping off the cliffs at Rick’s Café won’t cost you a dime! 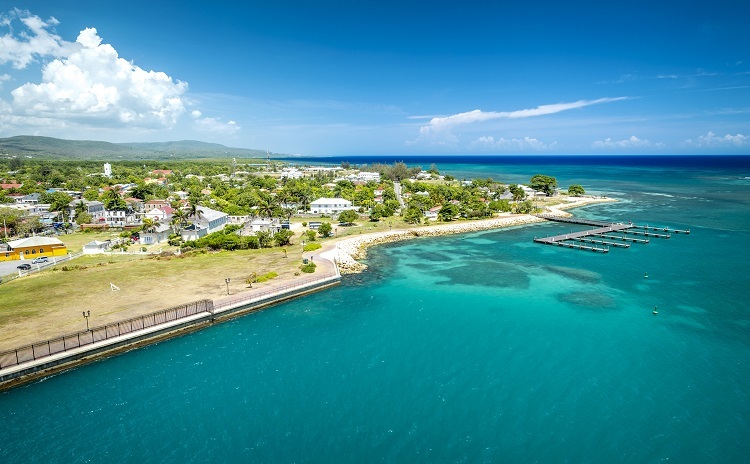 Affordable all inclusive resort packages in Jamaica include: Grand Palladium Lady Hamilton Resort & Spa, Iberostar Grand Hotel Rose Hall, Luxury Bahia Principe Runaway Bay, and Couples Sans Souci. A widely popular beach vacation destination, Punta Cana is an excellent place to soak in the tropical sun and island vibes. If you’re on a budget or just looking to save money, your best option is to visit from June through November. While this is hurricane season, you can take advantage of cheaper rates on hotels. 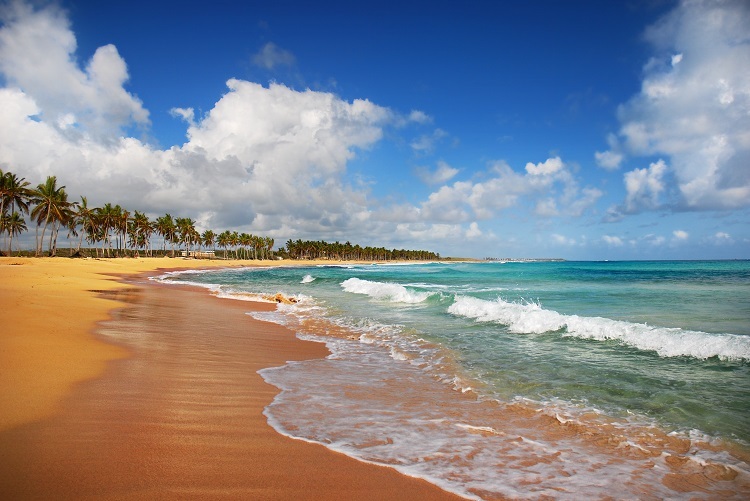 Avoid burning a hole in your wallet with beach time at one of Punta Cana’s gorgeous beaches such as Macao, Bavaro, or Arena Gorda. You can also find package deals on excursions. Instead of paying full price for multiple activities, see if there’s a bundle that allows you to participate in all of them for one cost. 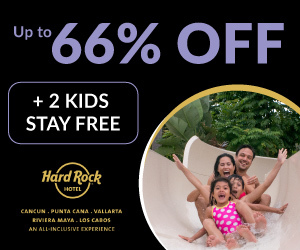 Affordable all inclusive resort packages in Punta Cana include: Barcelo Bavaro Palace, Excellence Punta Cana, Hard Rock Hotel & Casino Punta Cana, and Iberostar Grand Hotel Bavaro. Aruba is a small Dutch Caribbean island off the coast of Venezuela. You’ll find beautiful beaches and fascinating architecture with European influences and tropical colors. The languages include English, Dutch, Spanish, and the local Papiamento. A good way to save money is to visit in the off-season, which is fall. The weather is great and prices are at an all-time low. If you’re looking to shop beyond your resort, be sure to bring your own shopping bag because shops in Aruba charge for theirs! There are also plenty of attractions to enjoy for free, including museums, beaches, the Aruba tramcar, the Aruba aloe factory and tour, and climbing the volcanic formation Hooiberg. 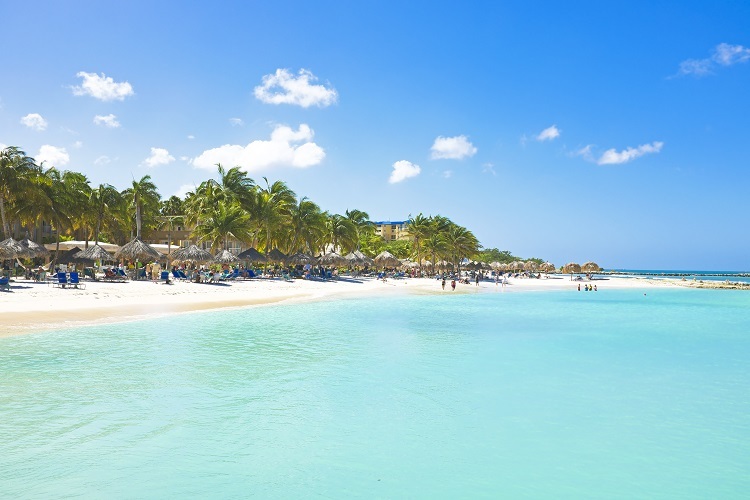 Affordable all inclusive resort packages in Aruba include: Barcelo Aruba, Riu Palace Aruba, Divi Aruba All Inclusive, and Renaissance Aruba Resort & Casino. 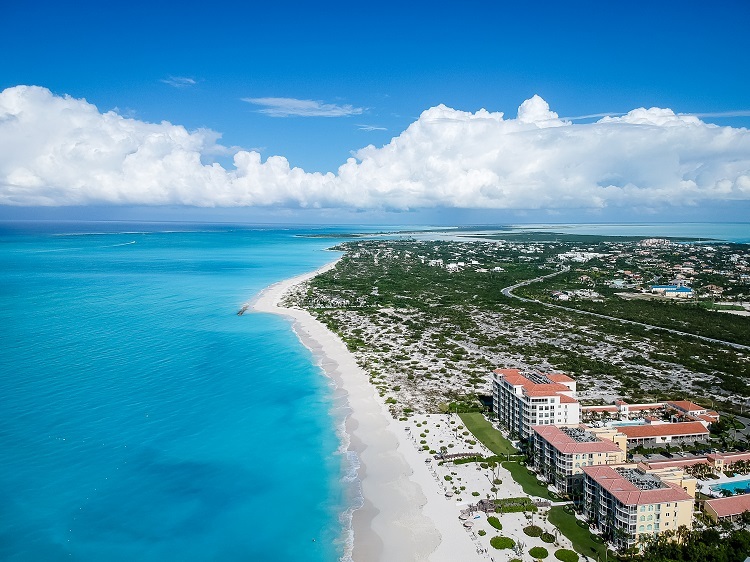 Turks & Caicos is a British Overseas Territory in the Caribbean is located southeast of the Bahamas and east of Cuba, the Dominican Republic, and Haiti. It’s known for pristine white-sand beaches, crystal turquoise waters, and idyllic weather. Visit between April and May to avoid crowds and high tourism prices. Even deeper discounts of up to 40% can be found during the island’s rainy season, which is June to November. If you venture out of the resort to dine, restaurant prices in tourist areas are typically more expensive. Stick to the local mom and pop spots to get your fill of authentic cuisine at a reasonable price. Affordable all inclusive resort packages in Turks & Caicos include: Alexandra Resort, Beach House Turks & Caicos, and Blue Haven Resort & Marina. 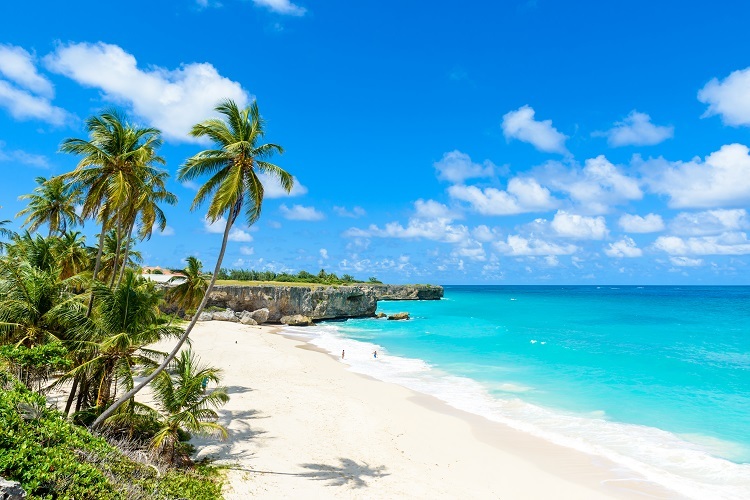 The eastern Caribbean island of Barbados offers breathtaking beaches, botanical gardens, the Harrison’s Cave formation, and 17th-century architecture. Visiting in late November or late April will help you avoid both storm and tourism seasons. You’ll also get the best deals on flights and hotels. 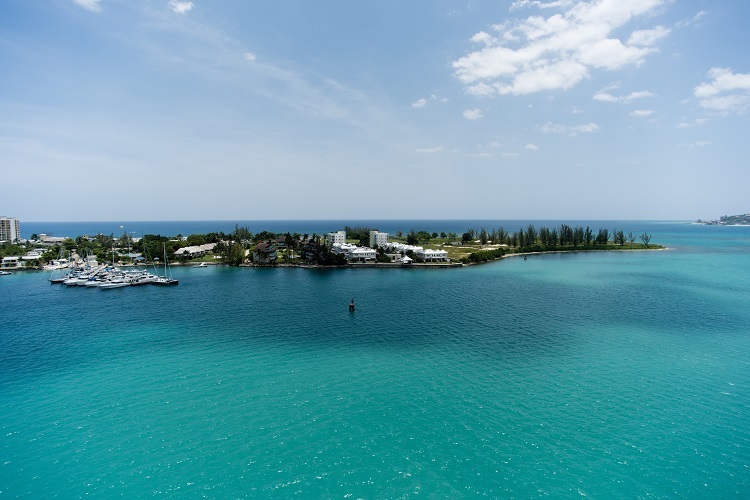 You have several free options to enjoy on your trip, including a self-guided walking tours of the Bridgetown neo-Gothic parliament buildings, the UNESCO World Heritage architecture, and National Heroes Square, which houses a bronze statue of British Admiral Lord Nelson. Affordable all inclusive resort packages in Barbados include: Turtle Beach Barbados, Crystal Cove, and Sandals Barbados. 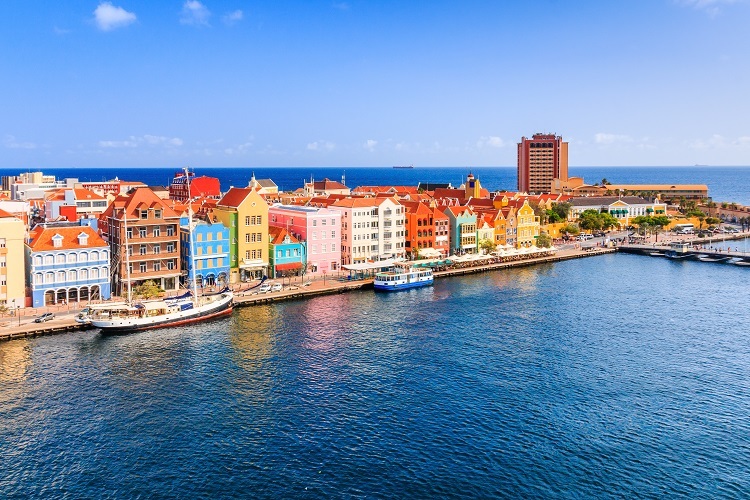 Located just above the equator, Curacao encompasses stunning beaches, amazing rugged landscapes, and Dutch colonial charm punctuated with rainbow architecture. The best time to visit is between May and November when rates can be found for half off the high season prices. Complimentary activities include visiting Queen Emma Pontoon Bridge, Handelskade, Playa Lagun, and Riffort Village. Affordable all inclusive resort packages in Curacao include: Sunscape Curacao Resort, Spa & Casino, Renaissance Curacao Resort & Casino, and Acoya Curacao Resort, Villas & Spa. Knowing when to visit your vacation destination and how to strategize your options will help you take an unforgettable trip without breaking your budget. 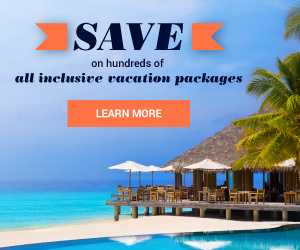 Find the best discounted vacation packages on All Inclusive Outlet so you can save big on the beach getaway of your dreams! *Average prices are indicative of total package price, including airfare + accommodations. Number of rooms and nights may vary. Data represents All Inclusive Outlet customer base only. Are these prices average per person, couple or family?